Bactroban nasal ointment is an antibiotic used to medicate staph infections of the nose, and is made by GlaxoSmithKline. Please note that we do not offer this treatment via our online clinic service. Talk to your GP if you are experiencing any signs of a nose infection. Bactroban is an antibiotic ointment used in the treatment of nasal infections. It is applied in small amounts directly to the inside of the nostril, usually two to three times per day for a specified period. Bactroban is made by GlaxoSmithKline, and its active ingredient is mupirocin calcium, which works by attacking the bacteria responsible for infection. Nose infections can occur for a number of reasons, but many of them are caused by a bacteria called staphylococcus aureus. You may have heard this referred to before as a staph infection. The bacteria is naturally present on the skin of many people, and is often harmless. But, it can cause infection if it enters a break in the skin, or comes into contact with other areas of the body. Symptoms of infection may include boils or abscesses, or be even more invasive where the bacteria enters the bloodstream. Strains of the bacteria which have developed an immunity to certain types of antibiotic are known as MRSA, and can lead to serious illness in those who are particularly vulnerable to infections. Treatment for this type of infection aims at eradicating the bacteria, and reducing symptoms. By ridding the body of the bacteria, these drugs also help to prevent future infections from taking hold, and limit the risk of the infection from being passed onto someone else. The functioning component of Bactroban nasal ointment is an antibiotic called mupirocin calcium. Its action involves restricting the growth of the offending bacteria. The way it performs this function is to prevent the bacteria from producing a self-sustaining chemical, without which it cannot reproduce. Once the progress of the infecting bacteria has been halted, the immune system fights off what remains. We do not offer treatments for nose infections through our online clinic service. Speak to your GP in person if you have any symptoms of a nose infection. They will be able to examine your condition and prescribe this treatment if required. Make sure you read the patient information leaflet fully before using this product, and apply it as directed by your prescriber. This will assist you in minimising the risk of side effects, while enabling the treatment to be as effective as possible. This will in most cases be a course of two or three applications a day, for a duration determined by your doctor. A typical course may last for between five and seven days. Place a small blob on your finger. This should be similar in size to a match head. Spread this on the inside of your first nostril. Do this again on the second nostril. With your fingers, exert a slight pressure on either side of your nose distribute the ointment. If it helps, use a cotton bud to apply the treatment. Do not make up for a missed dose by applying double the next time. If you forget, take it when you remember. Skip the dose you have missed if your next one is due within an hour. These guidelines do not constitute detailed directions. Consult those supplied in the leaflet prior to use. Tell your doctor right away if you notice anything which may indicate an allergic reaction. Details on what these signs may look like can be found in the patient information leaflet. Irritation or burning inside the nose. Consult the leaflet supplied for more comprehensive information on the side effects associated with this drug. It is not thought that Bactroban will interact with other treatments, but you should still let your doctor know if you using any other products, be they prescription, non-prescription or remedial, before using it. Let your prescriber know if you have a history of any conditions which may make the use of this product unsuitable. Yes. This applied treatment is not thought to be affected by alcohol. Yes. But, if you notice any side effects which may make it dangerous to do so, avoid driving and speak to your nearest healthcare practitioner. Talk to your doctor or family planning nurse before using this item if you are pregnant or breastfeeding. Keep in a dry, safe place below 25°C. Do not use Bactroban if you are allergic to any of the containing ingredients, which are: mupirocin, white soft paraffin and softisan 649. No. 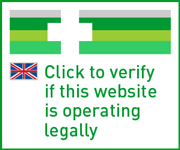 Bactroban nasal ointment can only be obtained in the UK with a prescription. This will need to be issued by a healthcare professional. Bactroban is not available to buy from our UK pharmacy. If you are displaying any of the symptoms discussed on this page, you should see your doctor. They will be able to determine what, if any, treatment is required. Bactroban Nasal is rated 5 out of 5 by 3 customers on TrustPilot!